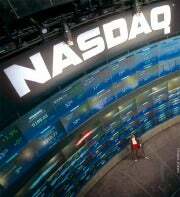 Technical problems at the Nasdaq exchange affected the trading of Facebook shares on Friday, the much-anticipated day of its IPO (initial public offering), Robert Greifeld, chief executive of Nasdaq OMX Group Inc., told reporters on Sunday, according to published reports. The problems, which centered on order cancellations, have "humbly embarrassed" Nasdaq, which as a result is not having its "finest hour," Greifeld said, according to The Wall Street Journal. Facebook shares were expected to start trading at 11 a.m. U.S. Eastern Time, but the process was delayed by about 30 minutes, and other glitches surfaced throughout the trading day, which led to confusion among investors, according to published reports. Nasdaq's board met on Saturday to address the issues and plans to adjust its IPO auction process in light of the problems encountered on Friday, Greifeld said, according to the Journal. However, the technical problems had no impact on the performance of Facebook shares,Greifeld said, according to The New York Times. Facebook's first day of trading was largely considered underwhelming because its shares closed almost flat, up only $0.27 at $38.27. Greifeld pegged the initial trading delay on poorly designed software for IPO auctions, as systems tasked with setting an opening price buckled under a flood of order cancellations and updates, according to Businessweek. Neither Facebook nor Nasdaq immediately responded to requests for comment on Sunday. On Friday, the Bloomberg financial news agency reported that the U.S. Securities and Exchange Commission plans to look into the Nasdaq problems that affected Facebook trades.